Longevity is a rare commodity in the gaming business. A title comes out, it takes up a two-month residency on a store's chart rack or splash page - if it's lucky - and is then put out to pasture in the used section. To the casual consumer, it's often easy to forget a game ever existed within six months of its launch. While times are changing thanks to the galloping onset of the digital revolution, this was never more true than it was back in 2005 when Double Fine's eccentric debut Psychonauts arrived on shelves. Despite a rapturous welcome from critics and Schafer fans alike, it famously flopped at retail, nearly dragging both developer and publisher Majesco down with it. However, since then its cult has slowly grown and grown, fed by word of mouth and the careful custodianship of its creators. Today, the game is arguably more visible than it has ever been, with its followers devouring the merest hint that a sequel might one day get a green-light. That clamour reached fever pitch last month when deep-pocketed indie talisman Markus 'Notch' Persson popped up on Twitter with an offer to bankroll a follow-up. As we found out when we met up with creator Tim Schafer at Double Fine's San Francisco HQ earlier this month, the story of the game's troubled development and subsequent trek into cult classic territory is almost as engaging and unexpected as the off-the-wall brain-surfing adventures of psychic sprog Raz that the game itself depicts. The germ of the idea that would one day blossom into Psychonauts was first sown while Schafer was still working at LucasArts, where he was partly responsible for the studio's purple patch of classic adventure games - from Maniac Mansion and Monkey Island, to Full Throttle and Grim Fandango. Schafer recalls speculatively pitching a concept for a spy game to LucasArt's top brass. "You were going to meditate on objects and that meditation was going to be this vision quest that you went on in your head to figure out clues, and that's how you're going to solve puzzles," he recalls. Its subsequent transformation into the game we know today was actually a result of a water-cooler misunderstanding with a colleague. "I remember talking to someone in the hallway - they were like, 'I heard about that game where you go into other people's heads. Tell me more about that'. I was like, 'No, you don't go into other people's heads, you go into... wait a second'. "It was him misunderstanding my pitch, but it actually sounded like a much better idea." The concept was then put on ice for a few years while Schafer wound up his stint at Lucas. Frustrated that he had no ownership of the games that he felt creatively entwined with and tiring of the company's conservative corporate culture, Schafer upped sticks and set up Double Fine back in 2000. "All the levels have really distinct feelings. I really like the ambience in Black Velvetopia - I really like the way the music and the Black Velvet look of that and the blackness of it is just kind of a cool place to hang out in. "I also really like the camp. We put a lot of our childhood memories of camp in there. The graveyard, the woods, the abandoned campfires, the old truck, the tree. Just making a place the felt cool and interesting as it turned to night time; a place the feels real, and is fun to hang out in, and makes you forget you're playing a game for a while." When it came to deciding on the embryonic studio's first project, Schafer immediately returned to that light-bulb moment back at LucasArts. "I'd taken this class at UC Santa Cruz about the psychology of dreams," says Schafer. "I love hearing regular people talking about their dreams. They'll describe an experience like fighting a bear and the bear has the face of their father, or something like that. It was like these people are creating literary metaphors in their sleep. "They are not writers and they are not trained to create these metaphors but they're taking all their emotions while they are asleep and turning them into these crazy dramas with surreal visuals. That seemed really neat to me. "That idea of taking psychological dramas and making them literal sounded like something you could use in a game - you could go and actually fight the demons in someone's mind, literally, or sweep all the bats out of their belfry in a really literal way. It was a great way to expose character in a more interactive way. Instead of 'let's see a long cut-scene where someone tells you how they feel', it was cooler to just go inside their heads and see what's going on in there." But then disaster struck. Fries left Microsoft to pursue consultancy work and his replacement took a pair or pruning sheers to his work-in-progress portfolio. "There was a new regime, and we were late and expensive," remembers Schafer. "As so often happens when regimes change, someone shows up and the first thing they do, if there's any project that's late or is expensive, they cut it. Seven games got cut and we were one of them." With morale at rock bottom and only weeks away from having to shut Double Fine's doors for good, Schafer frantically shopped the half-finished game to the rest of the industry. "It's hard to take something like that lying down. We'd been working on it for years. We loved the game, we loved the characters, we weren't about to let someone shut us down, especially as it would have meant going out of business. "I thought if we shut this down now I will feel like the last five years of my life was a complete waste, which was unbearable to think about as it had been so hard to get the company going. No, we're not going to let it go out this way." The team pulled together and "pitched the game like crazy". However, every single publisher doing business in 2004 said no. "'It's very creative.' That's the first thing they'd say," recalls Schafer. "We'd pitch it and people would be like, 'hmmm, that's really... creative'. And we'd get this shrinking feeling - oh god, they said the 'c' word. 'Creative' basically means, 'nice try, nobody is going to buy this'. "There was one company I pitched to - and I don't want to say who - and the guy was like 'wow, this is really, really good, really creative. It's just too bad people aren't going for creative stuff these days'. "That just sums up everything that's lame about that whole idea. To say people aren't going for 'creative stuff'? Every big game milestone hit that's come out has been creative!" But then, with hope fading, an angel swooped in: Majesco. "When that first email came in - I didn't know who they were. I got the email from the website info line - 'hey, we want to publish Psychonauts!'. I was like, 'who are you guys?' But they ended up being the company that saved our hides." The game finally launched on Xbox and PC in April 2005, with a PlayStation 2 version following in February 2006. Reviews were universally glowing but, alas, in what seemed like a painful validation of all that depressing publisher scepticism, sales didn't follow. The game was a failure, shifting not much more than 200,000 copies in its first year. Oddly, Schafer remembers not being particularly crest-fallen as the lacklustre numbers rolled in. "I was just really excited that we got to make it. That's really how I feel about every game we make. When it's over I really don't look too much at the sales. It's not that I don't care, it's just that my main occupation is figuring out how to get these games made, because they're so unlikely. "Look at Psychonauts or Brutal Legend. Imagine trying to get those games made. They're unlikely to get signed, and they're very hard to get singed. So whenever we get funding to make them, and to finish them, it's such a miracle that I feel like that was the reward - we get to finish it. "Then people ask 'how did it sell? '," he adds with a guilty grin, "and I'm like 'yeah, I should go look that up', because it might be relevant to me being able to get another game signed. "I do think about trying to make a game that appeals. You want everyone to see your game and you want to make money for your partners. It's not out of my mind," Schafer continues, backtracking slightly. "It's just my preoccupation is the challenge of just getting it made and achieving the completion of this huge creative work. I think I would see it as a weakness if I really believed that thinking about it a bit more would guarantee some sort of success. But I just don't believe that. "Nobody knows anything, right? You just try these things and you either hit it or you don't. And that's part of the reason we went to multiple projects. Instead of taking one pull on the slot machine every five years, we're doing, like, four a year so you get more of a chance to figure out what people like." Double Fine licked its wounds, picked itself up and went onto the next project Brutal Legend - which came with its own equally torturous development pantomime. Meanwhile, however, Psychonauts' legend slowly grew. Sales continued to trickle in, mainly through Steam, and those calls for a sequel got louder and louder. Seven years on and the game has long since recouped its estimated $13 million budget, though Schafer admits that doesn't necessarily mean it's now a profitable project, in the traditional sense of the term. "I'd have to go back and do some math," he says. "It has definitely made more money than it cost to make but that doesn't mean that we would have gotten any money from it from a traditional publisher. For a traditional publishing contract to work you have to make eight times your money, or something, to get anything back as they have to pay for a lot of... private jets, I dunno." However, as of June last year, Double Fine has won back the publishing rights to the game from Majesco, and all revenue from the title is now flowing directly back to its creators. When questioned whether he believes that the game is really as good as people say it is, or if its fans are just looking back with rose-tinted glasses, Schafer stresses that his opinion is "really not to be trusted". "But I've played it years after it came out and I really enjoyed it. I played Monkey Island this year and I really enjoyed that too. It's hard to tell if I'm just having fond memories of making it but I still notice little touches that the animators snuck into cut-scenes and things like that that I enjoy. "So... yes, it's just as good as everyone says it is, if not better!" he declares, with an exaggerated thigh slap. One person much more certain of his feelings towards the game is Mojang boss Notch. The Minecraft creator is eager to preach exactly what it is about the game that encouraged him to volunteer hard cash for a sequel. "I liked that it was very different from everything else," he tells Eurogamer. "It was one of those 3D platformer games that was happening at the time but the level design made no sense, and the plot made no sense, and it had a fun hub world that was actually fun to explore. Of course, The Milkman Conspiracy is a super-imaginative, fun level to play. And then there was The Meat Circus, which was the polar opposite. "It was a very complex game with a lot of personality. It actually felt like somebody cared about the game when they made it." So what of that oft-discussed sequel? Is it likely? Would it sell? Or is a loud-but-passionate core of fans leading Double Fine down a blind alley? Schafer seems unsure. "That's the same feeling we got with the Kickstarter project we just launched. There is something the fans are asking for and you don't know if it's a mirage. Just because you get a hundred messages on Twitter it can seem like a huge crowd. But what if you made it and it only sold a hundred copies? "So I think with Psychonauts, it has gotten into the hands of a lot of people. There have been days on Steam when we launched when it was one of their top grossing games by revenue. "It was just one of those things that took a long time for word of mouth to get out. Digital distribution has allowed us to capitalise on that in a way that being in a retail situation couldn't. You couldn't keep a physical box on shelves for that long, but we can keep a digital copy around until people slowly come in. It's built up enough awareness that there's a chance a sequel could do really well, as it's now high profile." Still, it would certainly be an expensive and risky undertaking. Perhaps a perfect fit for another Kickstarter initiative? "If we figure out a way to do it on Kickstarter that does take a lot of the risk because people are paying for it in advance in a crazy way. You still have a chance of not making money on it but you've already funded it and it's a lot less worrisome than shoving over all your chips and then crossing your fingers. "It's a possibility, but I see that game as being a really big budget. Bigger than the $2.5 million [which has eventually topped out at $3.3 million] we got from Kickstarter this time, which was an amazing number for Kickstarter." While not ruled out entirely, it appears Notch's offer of financial assistance has stalled for the time being. It seems he rather underestimated the amount of money needed to get the game off the ground. "We spoke and basically Tim said that they were busy with the adventure game they're making," explains Notch. "I said that when I made the initial offer I didn't realise exactly how much money is needed, so we'd probably have to be like super-serious and have real Excel spread sheets and stuff like that." "But we discussed a few alternative models that might be possible to do. Nothing concrete is happening though, we didn't really get anywhere." However, like so many other fans, Notch is convinced there's more than enough people out there ready to reunite with Raz and his motley crew of friendly freaks and weirdoes to warrant a sequel. "I think Psychonauts 2 would definitely sell, so it would be a sound investment," he says confidently. Whether we ever see a sequel or not, the game's freewheeling creative spirit has lived on in Double Fine's output since, and will likely do so in the future. That elemental sense of fun that Schafer and his team imbue in their output means that their games, while not always flawless, generally stick in the memory much longer than those of more cautious contemporaries. And it's that personality that keeps people talking about a game long after its initial release, giving it legs and winning real loyalty from its fans. And that's a big part of why Double Fine has had such little trouble crowd funding a new adventure title. With many mainstream publishers seemingly convinced that a piecemeal DLC programme is the best way to extend a game's shelf-life, Psychonauts' long, winding route to success offers an alternative vision that many game-makers might do well to pay attention to. What's more, it's a pleasing, albeit belated, affirmation of Ed Fries' highfaluting ideal that the humble video game should aspire to be more than just mindless entertainment. Minecraft maker Notch has downplayed his potential funding of Psychonauts 2. Notch set the internet alight after offered to fund the game in a tweet to Double Fine boss Tim Schafer. Schafer later said it would cost at least $13 million to make the game, to which Notch apparently replied: "I can do that." But now it appears as if Notch isn't sure the game's a goer. In a blog post titled "Hype" the Mojang chief said Schafer's development budget estimation was three times higher than he expected. "Tim and I haven't spoken much at all other than a couple of emails," he said. "We mentioned meeting at GDC, I hope that will happen. I assume Double Fine will be very busy for many months with the Kickstarter project. "The budget for doing a Psychonauts 2 is three times higher than my initial impression. A couple of other parties have mentioned also being interested in investing in it. I would not be investing in this as a charity. It would be because I think the game would be profitable. And naturally, I wouldn't want to have any creative input in the game. It would be purely a high risk investment in a project I believe in." Notch's mention of the Kickstarter project is in reference to Double Fine's hugely successful crowd-sourcing of funding for an adventure game. Schafer raised $1 million in a day after setting a $400,000 target on Kickstarter. The total raised is now approaching $2 million. This game, Notch believes, is of higher priority than any Psychonauts sequel. "I have NO idea if this is actually going to happen," he said. "The Kickstarter stuff obviously changes the playing field a lot. Investing that incredibly high amount of money also requires a lot of planning and discussion, and I've never done anything like that before, but I do have contacts and advisors to help me out. "All I know is that IF the numbers work out and IF they still want to do it and IF they don't decide to self-fund a sequel by doing more crowd-funding (which is honestly what I would've done if I were them), I would be most interested in doing this type of investment." Notch called for calm: "Point is, stop hyping over this, internet! You're going to scare me into doing things secretly instead of being open and transparent via Twitter. I am incredibly scared of the very real risk of people feeling let down just because I took a chance at something that doesn't end up panning out. "Also, I realize you won't stop hyping, so I'll just go into hiding for a few years if it falls through." "I can do that," he told the Double Fine boss. "I was like, 'I don't think you can make [it] for a million dollars'," Schafer told Kotaku. "The original game was, I think, $13 million, I think you have to match the original game. It's unclear whether Notch is willing to invest the $13 million from his own bulging bank account or contribute a certain amount before helping raise investment from elsewhere. Notch's millions were made off the back of the phenomenal success of sandbox creation game Minecraft. At the time of publication, over 22 million people had registered to play and just shy of five million people bought the game. Last week Notch shocked the gaming world and Schafer himself when he said on his Twitter page that he was willing to personally fund a sequel to Double Fine's cult classic Psychonauts. 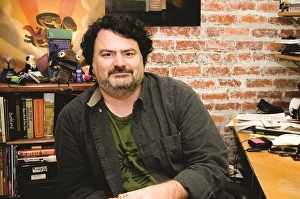 Double Fine head Tim Schafer has continually stated he would like to develop a second Psychonauts game, but has been unable to secure publisher-funding to back the project. "Let's make Psychonauts 2 happen," Notch tweeted to Schafer. Psychonauts was first released in 2005 to positive reviews but disappointing sales. Double Fine recovered the rights to the game's publishing proceeds last year. Since then, the digital PC version has been seen a substantial update via Steam, and a new Mac version has been launched. Psychonauts creator Tim Schafer doesn't think publishers are evil, but does believe they sometimes remove risky ideas from games. Schafer has raised nearly $2 million dollars from fans to fund development of a new old school adventure game through Kickstarter - an eye-watering figure that has left some questioning the future role of publishers. "Well, I'm not trying to vilify them," Schafer told HookshotInc.com. "Publishers do their business in a way that works for them. They're risking millions of dollars so they've got to mitigate that risk - and sometimes that means removing risky ideas from games. "The thing is, Double Fine is all about coming up with new, unproven and really creative ideas. It's a constant battle for us to get those ideas to go through the system, that long spanking machine of people who have to sign off on your idea. They're not evil, they're just trying to protect themselves." Schafer and Double Fine have has an interesting relationship with publishers over the years. PlayStation 3 and Xbox 360 game Brutal Legend was eventually published by EA after Activision dropped it and subsequently tried to block it from sale. Now, Double Fine concentrates on downloadable games, and has seen success with a raft of smaller-scale titles, including Stacking, Costume Quest, Iron Brigade and Happy Action Theatre. But with these games Schafer still needed to seek a publisher's help. THQ published Costume Quest and Stacking, and Microsoft published Iron Brigade and Happy Action Theatre. Now, with its new adventure game, Schafer has bypassed the publishers altogether, raising cash through crowd-sourcing - as his faith in the likes of PlayStation Network and Xbox Live Arcade dwindles. "Ever since I played Geometry Wars I thought, what a great new portal," he said. "But it seems that this year, the idea didn't explode like it should have. Back when Castle Crashers came out, it seemed it was going to grow and grow. I just wish there was more support, more marketing, more placement on the dashboard. It could have been our own little Sundance Film festival, a great sandbox for indie development. "But the indie community is now moving elsewhere; we're figuring out how to fund and distribute games ourselves, and we're getting more control over them. Those systems as great as they are, they're still closed. You have to jump through a lot of hoops, even for important stuff like patching and supporting your game. Those are things we really want to do, but we can't do it on these systems. "I mean, it costs $40,000 to put up a patch - we can't afford that! Open systems like Steam, that allow us to set our own prices, that's where it's at, and doing it completely alone like Minecraft. That's where people are going." As for the adventure game, Schafer promised to create an experience the fans will like, but "that doesn't always mean doing something they've asked you to do". "If you're making a shooter and the fans say, 'we want the shotgun to be more powerful', you might not be able to do that because it's tied in to a lot of other systems. "So you just ask yourself, okay, why do they want the gun to be more powerful? What do they really want here? Then you give them what they really need, the thing that's behind what they ask for. Do you know what I mean? "The fans will get a really original adventure game. That's what they want." 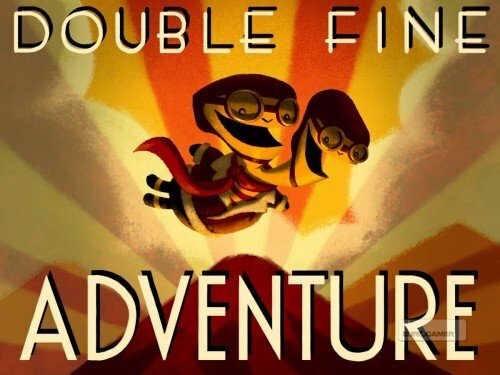 UPDATE: Double Fine's adventure game will be made - it's just shot past the magical $400,000 goal it set itself last night. The $400,000 barrier was breached just after 10am UK time on Thursday, 9th February - with 33 days to spare. "$407,470. I love you, world. Double Fine fans are the greatest fans in the whole world. Your gonna make me cry. :) :) :)" wrote an emotional Tim Schafer on Twitter. "Let's keep funding this thing until it becomes a monster. All the money goes into making the game and documentary better.)" How much will be raised when all is said and done? UPDATE: Psychonauts developer Double Fine Productions is making a fan-funded adventure game. It's using Kickstarter.com to raise $400,000 - the minimum required to make the dream a reality. 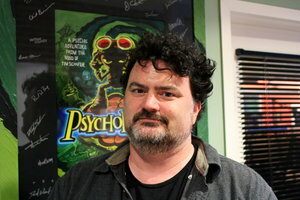 Double Fine's Tim Schafer, one of the chief architects of the adventure game genre, announced the project last night. At the time of publishing, $297,846 was raised - with 33 days to go. "This is a game for adventure fans, funded by adventure fans," Schafer said in a promotional video on the Kickstarter website. "If you back this Kickstarter project, you will be cool, and everybody will like you." Kickstarter allows anyone to make a donation to the game development fund, but Double Fine has made available premium pledges for those with the cash to splash. Donate $15,000 or more and you'll score dinner with Tim and key members of the development team. $20,000 or more gets you dinner and bowling with them. $50,000 or more and you become a character in the game. Give $150,000 or more and Schafer will give you one of the last four remaining Triangle Boxed Day of the Tentacles, in original shrink-wrap. The game is expected to be a truly collaborative process, with fans who donate involved deeply in development. And video game documentary makers 2 Player Productions will film the entire journey, putting video after video on the internet for those who donate to enjoy. The finished game will be released on PC via Steam. Donate and you'll get exclusive access to the beta, the video series and a private discussion community. Wait, they've now raised $306,806. This won't take long. Doublefine boss Tim Schafer and Minecraft creator Markus 'Notch' Persson are in discussion following the latter's insistence that he wanted to help get a Psychonauts sequel off the ground. A spokesperson for the developer told Eurogamer, "Tim and Markus are talking. Who knows what might happen?" As reported earlier today, a Tweet from Notch directed at Schafer this morning read "Let's make Psychonauts 2 happen." He later added, "Also, I'm serious." Schafer's original adventure title launched back in 2005 to widespread critical acclaim but underwhelming sales. Double Fine has since recovered the rights to the game's publishing proceeds. It recently updated the digital PC version via Steam and launched a new Mac version. "Let's make Psychonauts 2 happen," Notch tweeted to Schafer earlier this morning. "Also, I'm serious," Notch then confirmed in a tweet to Eurogamer sister site Rock Paper Shotgun, from whose article he had spotted recent comments by Schafer on the future of Psychonauts (originally published on Digital Spy). "It's such a thoroughly, intensely enjoyable experience for the vast majority of the time that you want the whole world to experience what is easily the funniest, and therefore most fun game of the year, or any other year," Kristan Reed wrote in Eurogamer's Psychonauts review. Double Fine's Xbox Live Arcade tower defence title Iron Brigade (formerly known as Trenched) will receive a new horde mode in a forthcoming DLC update. The upcoming expansion is called Rise of the Martian Bear, Kotaku reports. Release date and pricing information is yet to be revealed. Double Fine's latest title is still awaiting release in Europe after trademark issues forced the game to be delayed and re-named. Iron Brigade was originally planned to launch in June as Trenched, before the creator of obscure Portuguese board game Trench intervened threatening copyright infringement, Eurogamer discovered. In August, Microsoft re-confirmed Iron Brigade for Europe in September, but again the title failed to appear. In the meantime, Double Fine has busied itself with the announcement of a PC version of adorable adventure title Costume Quest and fresh Steam/Mac ports of classic platformer Psychonauts. Eurogamer has contacted Microsoft for word on Iron Brigade's European launch. First screenshots from Iron Brigade DLC Rise of the Martian Bear lie below. A substantial update for the PC version of Double Fine's adventure classic Psychonauts has dropped in from out of nowhere. The developer today announced that Steam users can download a patch that adds in achievements, cloud saves and modifications that make the game's infamously tricky Meat Circus section a little easy to manage. On top of that, awesome-sounding private investment outfit Dracogen Strategic Investments has stepped up to help fund a Mac version of the game, available now on Steam and the Mac App Store. "I have been a fan of Psychonauts and Double Fine for a long time," commented Dracogen CEO Steven Dengler, "and I'm extremely happy to be helping them bring their games to new platforms like the Macintosh. All hail the supremacy of Dragons!" Finally, there's also a new iOS app up for download.The Psychonauts Vault Viewer lets you view the game's Memory Vaults with newly-recorded audio commentary from creators Tim Schafer and Scott Campbell. The game originally launched on PC, PlayStation 2 and Xbox back in 2005. Not played it? Eurogamer's Psychonauts review should explain why you need to catch up.